Thermo Savoy Bags available in 5 qualities, each in 11 different sizes. 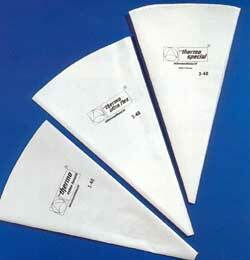 Food safe, hygienic, impermeable due to multiple plastic coatings. 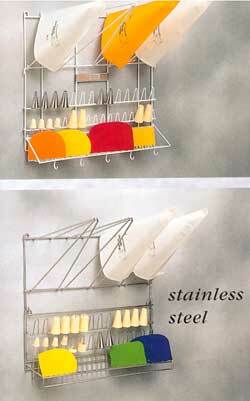 Wall mounted drying/storage rack in white plastic coated or stainless steel.